On May 13, 2017, Alarm Will Sound performed at Merkin Concert hall for 2017 Ecstatic Music Festival. They totally performed five tunes: Aphex Twin -minipops 67, Tyondai Braxton – common Fate, Brain Reitzell -Hannibal (Selection from the TV Soundtrack). Alarm Will Sound is a not name of recording company, it is a name of chamber orchestra. 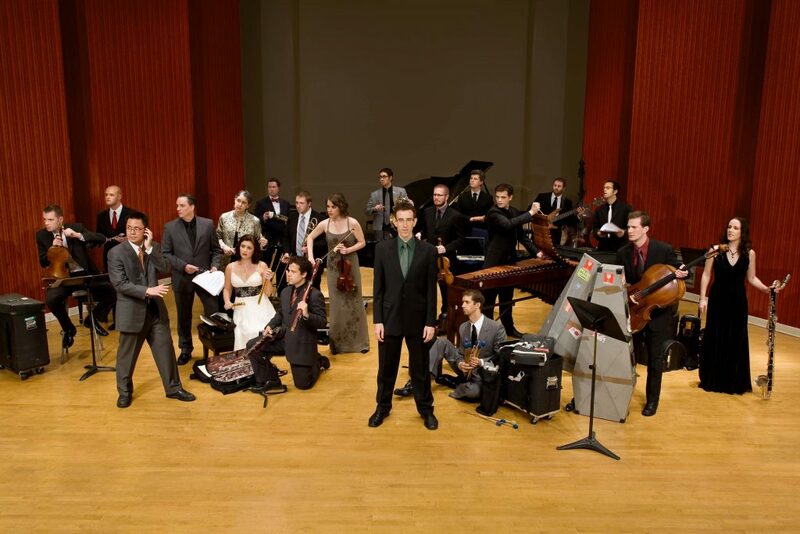 It has twenty member and they focusses on recordings and performances of contemporary classical music. Many people describes their perfomances as “equal parts exuberance, nonchalance and virtuosity. They’ve worked and arranged Aphex Twin music for 15 years. They love Aphex Twin music so much. They’ve found challenges from Aphex Twin music that how to imitate the electronic sounds of using musical instruments. Their achievement and challenges was succeed as you hear their performance of Aphex Twin. First tune that they performed was great. I compared both original track by Aphex Twin and theirs. They couldn’t imitate 100 % sounds of music but, they performed almost same as original track. I think it is very difficult to find the electronic sounds from acoustic instruments, I was very surprised their efforts. They imitated sound of synth bass to use brass, electric snare drum to use clapping, some kind of wind sound to use violins, etc. They used original voices from Aphex Twin. Common Fate by Tyondai Braxton is 21 minutes music. Tyondai Braxton is an American composer and musician. Mostly he composes music like New Music and experimental rock. I couldn’t find much information about this music. What I observed this music is very simple and repetition melody each movements? 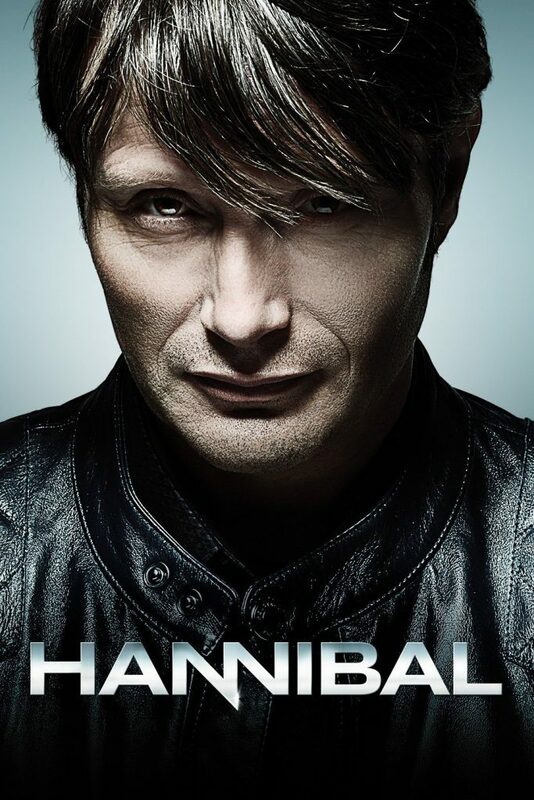 The next tune, Brian Reitzell – Hannibal (Selections from the TV Soundtrack). It is about 15 minutes. They played sound track from Hannibal, is an American psychological thriller–horror television series developed by Bryan Fuller for NBC. It sounded very similar as “Crumb, Black Angels, Ensemble Intercontemporain”. I think it is similar because both sounded horrifying and creepy. About 6 minutes of this tune, you can hear multiple percussions playing. It sounded atonal. I heard very funny sounds like from “Tom and Jerry” but I don’t know what that is. It has so many dynamic changes especially timpani. I follow an experimental music blog on blogspot called Caliper Music. As I was searching for a recording to write about, I came across this really interesting piece called For Massas by Viegas Pellerin Corda Orrù (João Pedro Viegas, Guy-Frank Pellerin, Silvia Corda, and Adriano Orrù). The artists who created this piece are all trained jazz musicians with an interest in radical idea of free improvisation. Free improvisation is a musical technique in which the musician, or in this case musicians, improvise with no rules or logical precedent. Some people refer to free improvisation as a genre, but there is no logical technical music connection between any one piece. But it is arguable that the musical process constitutes the genre. I believe that it is a musical school like modernism or “post-modernism” in that the way you think about it connects the ideas. But it is also hard to classify recent experimental music because we lack the understanding of historical context that we use to classify music of the past. For Massas was dedicated to the friend and supporter of the collaborators Paulo Albano, nicknamed Massas, who died shortly after the recording of the improvisational session. Conceived using this technique of free improvisation, For Massas was recorded live at Livraria Ler Devagar (in Lisbon, Portugal) on May 14th, 2015. I believe the location is a bookstore and experimental music space for artists in the area. Released on Pan y Rosas on May 2nd, the recording features João Pedro Viegas on bass clarinet, Guy-Frank Pellerin on soprano and tenor sax, Silvia Corda on piano, and Adriano Orrù on the double bass. The four tracks on the recording are La prima frase (the first sentance), notre réponse (our response), Massas diz mais Música (Massas says more music) and Encore. In the recording you can hear how the instrumentalists use a combination of traditional and extended performance techniques. This is especially apparent in Silvia Corda contribution on piano. You can hear her play traditionally but also pluck and scratch the strings on the inside of the piano, and strike the wooden part of the piano for a percussive effect. Adriano Orrù uses his instrument similarly, running his nails up and down the strings and using the body to create new percussive sounds. Also, he often uses the Bartók pizz technique as well as the slapping strings technique commonly used in Jazz and blues music. The woodwinds use some experimental performance techniques as well, but are limited in comparison. I really enjoyed when Pellerin slowed his breath enough on the tenor sax and created a vibrato with his reed. The artist start off kind of slowly, as if they are trying to get a feel for the direction of the where the improvisation was going. Similar to when we tried the indeterminate singing pieces in class. But after about a minute they became a more cohesive unit. You can tell the instrumentalists are really listening to each other by their use of dynamics, empty space and layering. Certain parts of the music have more color while others feature a single instrument. This is similar to Jazz styles where some instruments will stop playing while one takes a solo. The result is this really interesting atonal piece, that juxtaposes space with sound and chaos. Music like this is really interesting to me because of how unique it is to that certain point in time. It evokes a visceral reaction, and forces me to really think introspectively. I think that is the point of it, there is no theme or motiff to hold onto for reference. It displaces and isolates the listener, partially because its not “enjoyable” in the traditional sense but also because there isn’t a single thread that can be followed. This isn’t the kind of music you can get lost in, or analyze. It isn’t for everyone, but I was drawn to it for some reason. Whether it was because I needed something new to hear, or because I needed something that made me think about myself, I am glad I found it. If you enjoy finding new music I suggest following Caliper Music if you aren’t already. I will definitely be looking out for these artists (short bios in hyperlink) in the future and you should too! It’s unfortunate for me because I didn’t get to see the string quartet that day. I was able from a far to see a pianist and a flutist. From what I heard they were improvising back and forth. I couldn’t hear a clear melodic phrase or theme. The pianist was playing fast arpeggios like the flutist was soloing/improve, I believe in a major key. They both were enjoying themselves, however the crowd was oblivious to them. They were playing in the food court/bar area on the balcony of the museum. I was across the balcony but was able to still listen to some details due to the acoustics in that hall. I wish it had been in a room where they both were appreciated. I also wish I could of been closer to give a more detailed report on their musical performance. The Dream House is such an individual experience that describing it in words may not do it justice. But, I will try. 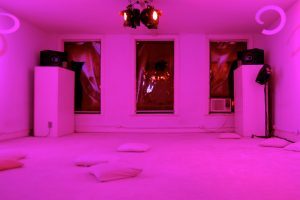 The Dream House is a room with four speakers that plays sounds at different frequencies and was made in the 1993 by La Monte Young and his wife, Marian Zazeela as a culmination of years of work. A list of Young’s works can be seen here. The House itself is intriguing at first sight: a carpeted purple-magenta room, not very big in size, with incense that fills the room. The purple filters on the windows make it impossible to tell how much time has passed, and what felt like 10 minutes in the room actually ended up being an hour and 20 minutes. Though the room is small in size, its range of sound is huge. Literally every area of the room had a different sound. Walking in, turning my head, sitting up, and lying down all sounded differently. The feelings of each pitch ranged from soft on the ear to buzzing to slightly thumping on it like a hammer. The pitch of each sound did not change, but each sound itself was different. The dynamics of the sounds ranged from whisper-soft microphone-screeching feedback, to low ‘wah-wah’ sounds, to the hum of a running AC. The range of sound was so vast that I am almost certain there were sounds being played that my human ear could not pick up. The speeds of some sounds stayed constant, and the speeds of others moved as my head moved. I did a mini-experiment: I attempted to follow three waves of sound as I turned my head. Looking straight forward, sound A was a low oscillating sound, sound B was a mike-feedback, and sound C was a high tone. I turned my head slowly to the left, and turning left: sound A stayed, and sound B intensified like a person who slowly turns a flashlight towards you until the light beam hits you straight on. Sound C sped up like the sound of a bomb about to detonate until — the sound completely disappeared. A picture of the wave spectrum in my head had appeared, and then I thought: what would the room look like if all of the vibrations in the room were able to be seen visually? In my head, I expected the high pitches to not be heard lower to the ground. To test that theory, I lay down. My theory was proven wrong as the same high pitch from before remained, and a new drone-sound previously unheard appeared. Then I sat up again and looked around at about 17 other people in the room. At that moment I had a crazy realization. At a typical concert or music performance, people usually listen to an artist and heat the same thing. But in the Dream House, although we were all in the same room, with the same four speakers, none of us were hearing the same thing. The Dream House was unlike anything I’ve ever experienced. It was weird, and it was beautiful. 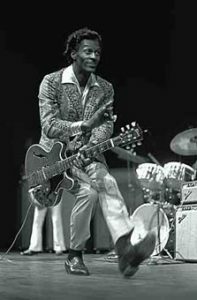 I felt bad now, because speaking honestly, I knew of his name and that he was great, but I did not know much about Chuck Berry. But the way she spoke of him with such admiration and respect made me want to research more about his life and musical career. The first song, “Johnny B. Goode,” was written by Berry in 1955 and recorded by him in 1958. This song sounds great is one of the most iconic songs in American history, and it is commonly used in shows and movies (including one of my favorite movies, Back to the Future). “Johnny B. Goode” is the story of a boy who plays the guitar and wishes one day to become famous. In this song and many others, Berry was able to mix black and white elements in a way that hadn’t been done prior; through his lyrics, he portrayed the everyday life of white American suburban folk. The music itself was inherently black American: the roots of the song were grounded in the 12-bar blues progression. This progression traces back to, and is in essence, wrought from slavery in America. “Johnny B. Goode” made this 12-bar blues progression, and a black man’s story, marketable to mainstream audiences. But this marketability did not cone without challenges. He was famous during segregation, a time when it was legal to discriminate against blacks. In order to get his song on the radio, he had to take out any mention of blackness: “The original words [were], of course, ‘That little colored boy could play.’ I changed it to ‘country boy’ — or else it wouldn’t get on the radio.” (Rolling Stone) Even still, he was able to make blackness appeal to mainstream audiences. Many artists have said they were inspired by him, with a few being the Beatles, and The Rolling Stones, and many artists use some of his riffs. Another song of his, “Maybellene”, adapted from Western song “Ida Red”, is seen as a pivotal song in Rock. This song was able to mix sounds of R&B, country, and blues, something that was unheard of during the 1950s. Berry recorded this song in 1955. The song also inspired a relatively unknown artist at that time, Elvis Presley, to record his own cover of the song. Elvis Presley, contentiously dubbed “The King of Rock & Roll,” has covered many of Berry’s songs. “Maybellene” was also groundbreaking for its guitar solo: Berry played his guitar in a way that was unable to be duplicated (specifically, during the parts [1:22-1:28] in the video link). Another artist who grew inspired from Berry’s style of playing was the late Jimi Hendrix. As a result of my growing interest of Latin and Jazz music, I decided for my blog post to be on the song Spain by Chick Corea. Spain is an instrumental jazz fusion composition by jazz pianist and composer Chick Corea. It is likely Corea’s most recognized piece, and some would consider it a modern jazz standard. Spain was composed in 1971 and appeared in its original and most well known rendition on the album Light As A Feather. It is played in common time(4/4) and is originally played at a very fast pace. This February, I witnessed Lehman College’s Latin Jazz Band perform a cover to Spain. The song is introduced with a lengthy piano solo with a cello in the background complimenting the piano. After the intro, the song switches to a fast, Latin jazz samba rhythm, in which the main theme and an improvisation part are repeated. The percussion and woodwind instruments are then introduced. The flutes are accompanying the piano’s melody, while the business keeps a fast and steady pace. At the break of the song, the listener is required to clap along to the beat which is indeed a part of the original recording and sheet music. The claps are done on the 1 and the 3 and then falls back into a repeat of the fast paced Latin jazz samba rhythm. The chord progression used during the improvisation part is based on harmonic progressions of GMAJ7, F#7, Em7, A7, DMAJ7, C#7, F#7, Bm, B7. Chick Corea’s instrumental of “Spain” is influenced from traditional Spanish music. In the opening arrangement of the song, There is a Flamenco style of playing on the piano, implying a dramatic setting to set the mood before heading into an elegant melodic flare. Like the original recording, each musician takes turns in the spotlight to display their musicianship skills. The piano, bass guitar, flutes, brass, and percussion all took turns soloing. The most impressive solo to me in the performance and in original recording is the bass solo. The bass solo was almost on par from the original recording with its arpeggio sweeps and even plucked some chords with a slap bass technique. The flute takes second place with its versatility among the other instruments. The flute player’s solo ornaments the music with such gracefulness in the melodic theme of the piece and even ventured out on his own. The percussion solos were also impressive. The drums especially to solo and be able to keep a steady jazz samba rhythm at such a fast pace. The spontaneous drum fills were perfectly timed and you’d have to be a pretty experienced drummer to be able to do it at such a fast pace. However, all the instruments played an important part to this piece. Each instrument originates its own sound so perfect when played together. They’re intimate unity is what makes Chick Corea’s “Spain” such a well respected masterpiece of musical sorcery. Below is a live performance of a performance of “Spain” in Barcelona, Spain.